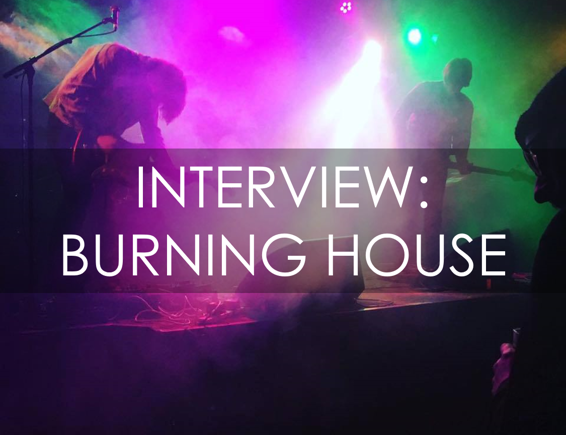 Your resource for all things shoegaze and dream pop: INTERVIEW: Aaron Mills of Burning House. Burning House is a UK-based trio led by vocalist and guitarist Aaron Mills. The band’s first official EP release, Tracer, appeared last month. Tracer is a beautiful and intense love letter to classic shoegaze sounds. 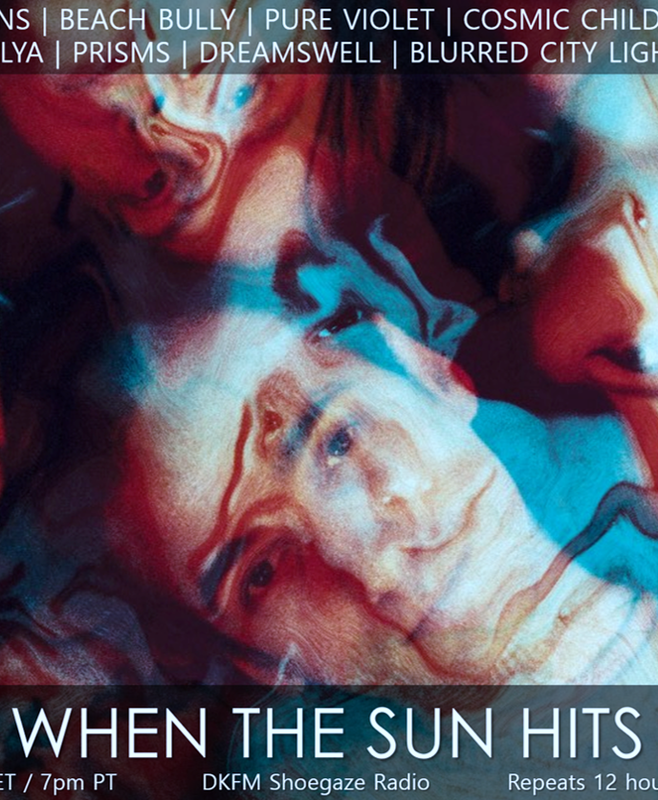 Its four songs perfectly showcase the range Burning House has on offer, moving easily through blazing feedback, dreamy nostalgia, blistering psych and emotional post-rock. Thanks to Aaron for taking the time required to produce this thoughtful, intelligent interview. We formed in 2014 after many incarnations. The idea of Burning House was conceived way before this, however. I placed many adverts and tried many, many musicians. In the end it was more a question of the interpersonal chemistry. Following this EP, we have a 14-track album Anthropocene, a grandiose creation we have teased for quite some time. We are at present setting to work on another EP also, a follow up to Tracer. As well as working on content for subsequent releases and a backdrop for the live show. Trying to recruit other members to enhance the live sound. Replicating the ferocity and sonic overload of the recordings in a live setting has hitherto proved difficult. We’re hoping with a larger lineup we can translate that intensity. Despite listening to certain bands from the genre, Slowdive, Mary Chain, loveliescrushing and especially My Bloody Valentine, it is really the latter’s commitment to experimentation within the albeit "elastic” confines of pop that impacted me greatest. There is a healthy and strong modern scene, I’m always hearing great bands that make passionate and illustrious work. But at the same time, it’s in my nature to be iconoclastic - I find facets in all kinds of music with all sorts of cultural connotations that I dream of blending. I think that’s where really exciting movements can take place. There are some great things happening. A lot of artists who are friends, such as Seashine and Dead Rabbits. Lately been enjoying Morgan Delt, who have that cut-upness that recalls favourites such as Stereolab, Broadcast and Deerhunter. I use so much stuff, often very subtly. Getting a good distortion sound is key I think - especially live. Often, I use combinations of distortion, reverbs before and after, same with delays. Or indeed any pedal, which might have a dial-position which can evoke something within me. It is a very painterly approach. At home I use Logic. In the studio it tends to be industry standard Pro Tools. These days you can record very cheaply and efficiently for modest amounts of money. It’s a blessing and a curse that you can do so much at home, because while you’re not at the mercy of processes out of your control - labels, funding, studio time etc. - you might miss that specific discipline that comes from being concentrated in that environment. Without it, it’s easy to become complacent. As for recommendations, it entirely depends on what you want to do. And for some that is the most grand, opulent vision, while others are enamored with cheap lo-fi aesthetics. It’s interesting that art reflects a fetishism for the nostalgic, it’s subversive to “make-do” and create great records with little to no equipment. Burial made his records with cool edit pro and they still stand up, having a completely defined psychic space. "There is no money swimming around, but there is a capacity for personal transformation and evolution in the ongoing dialogue with your audience. That remains." I really don’t know. I talk about this a lot. I often hear older artists complain that if they were an artist starting out today they would see little desire in trying to “make it” but what does that even mean anymore. There is no money swimming around, but there is a capacity for personal transformation and evolution in the ongoing dialogue with your audience. That remains. 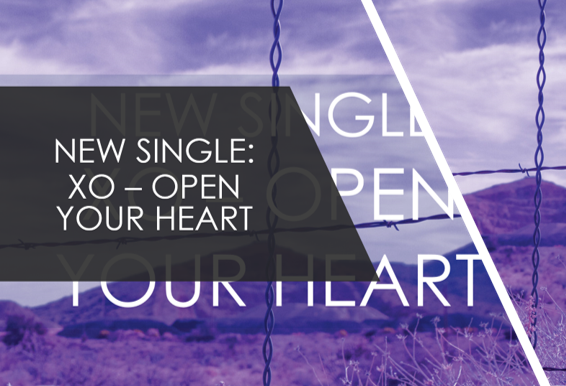 It is also exciting that you can just put your music out straight away, freed from the machinations of industry. You have to be very disciplined to breakthrough though now, because you can easily fall into inertia without being guided. Having seen many labels fold - as one said to me, “anyone with a laptop and a space under their bed has a label these days” - you cannot help but think this is a tough time. There are so many bands, all vying for attention, all trying to pique and tick all your aesthetic and cultural boxes, that often it can make for very cold, calculated and asinine work, and labels are looking to define themselves as a “brand” before really the substance has been established. It mirrors the way advertising tries to infer what its audience demographic is and then attempts to psychologically seduce the viewer. This has obviously been exploited by political powers also. Well I grew up with the CD as the main. Vinyl has become the zenith format for music now, and with good reason. The scale and intimacy of analogue reproduction are very unique. So it’s certainly my preferred format. But you know when I’m doing a million things, I might just put on YouTube and let that run. It’s still a great way of discovering music. Loads. I took the tremolo style from Kevin Shields, it really is a very expressive form of communication. It’s like the inflections within spoken word, different pigmentation. Red House Painters were the first band that really got me into songwriting, the fact it was nonlinear and the songs would seem to open organically almost, like a flower, that seemed very exciting - to determine how something is structured purely by emotion, as opposed to verse, chorus etc. The super-melodic foundation to Elliott Smith’s music still touches me in its brittleness. Siamese Dream was probably the first record that introduced me to truly fucked-up guitar sounds…I wonder how on earth he made those sounds and it drove me to be similarly as driven to translate precisely what I envisage texturally. Filmmakers such as Werner Herzog, Andrei Tarkovsky, and David Lynch taught me there is an holistic "organisation" to great work. Tarkovsky could film grass and it would illustrate something about the fragility of mankind, while also being achingly beautiful - poetic and sensory. As I write this I’m listening to Loscil on Kranky records, really great ambient stuff. Recently watched Twin Peaks again and it was even more stunning, the humour pervades throughout. I’ve been reading and listening to Taoist, Buddhist Alan Watts, and that notion of everything being completed by its opposite speaks truth to me. Also finished reading the quixotic Lautreamont’s Maldoror, a seminal influence on the surrealists. Difficult. As far as public material goes, I think that "Vague" is the best present example I have. Its nonlinear structure and expanding, contracting loop for me successfully create a tension that is unbearable and equal parts mesmeric. Be gentle with yourself. Not to say I do this at all successfully. Often, I’m pathologically hard on myself.